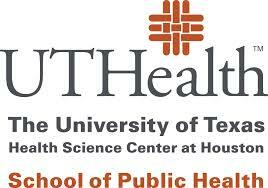 On Thursday, The University of Texas Health Science Center at Houston’s School of Public Health, hosted its 23rd Annual James H Steele Lecture, Expecting the Unexpected with Influenza. The event featured the first female scientist to ever have the honor of giving the lecture, Dr. Nancy J. Cox, PhD, former director of the Influenza Division at the Centers for Disease Control and Prevention (CDC) and the CDC’s World Health Organization (WHO) Collaborating Center for Surveillance, Epidemiology and Control of Influenza. Through his work with Agencies, whether it was with the WHO, the US Department of Agriculture (USDA), Food and Drug Administration (FDA), and the CDC, he raised the quality of meat production and food biosafety by reducing the occurrence of food borne pathogens dramatically in this country. He was considered the “Father of veterinary public health” because he created the field of veterinary public health. Virtually everyone in any important position in veterinary public health in this country either was trained by Dr. Steele or was trained by someone who Dr. Steele trained. He developed the field of zoonosis, since he understood what no one else was clearly seeing at the time: the important role animals played in human health. In light of this understanding, Dr. Steele and his colleagues developed the concept of One Health: referring to the fundamental public health concept that you can’t have human health without animal and environmental health — for all these facets are connected. Dr. Cox was introduced by Dr. Justin Bahl PhD, associate professor at CID, who reminded the audience that this lecture is given by the “Who’s Who” of public health leaders and that with her extensive list of numerous scientific accomplishments and contributions to global public health, Dr. Cox truly exemplified this designation. Dr. Cox spoke about evaluating influenza surveillance data, something she believes is the key point when you are working on a zoonotic problem, as well as the need to be able to reach out to as many different global partners and organizations from those focusing on human health, such as the WHO, to those focused on agriculture and animal health. A prime example of this is WHO’s Global Influenza Surveillance and Response System (GISRS), which very carefully monitors genetic changes that occur in the virus with the aim to accurately assess the pandemic risk. Dr. Cox stressed the point that contrary to what the majority of the public believe, the seasonal flu poses a much greater threat to the population than a potential pandemic. She highlighted both the infection and mortality rates that occur each year and the unfortunate low influenza vaccination rate in the US. Live animal markets where poultry are reared in various dense living conditions so that when a highly pathogenic avian influenza virus is introduced the mortality rate is high and entire poultry populations can be rapidly wiped out. The low literacy rate in the developing world is associated with a lower reporting rate of highly pathogenic influenza viruses especially avian influenza viruses to the authorities resulting in a delayed public health response. The increase in “Mega Cities,” which are defined as having 10 million or more inhabitants many of whom are poor living in slums. These densely packed urban populations have special challenges for healthcare due to a lack of public health infrastructure, making it very difficult to immunize children, control air pollution, regulate agriculture supply chains and provide veterinary services. As a result of the immense increase in the global population, especially with most of it occurring in the developing world, there has been a 150% increase in the demand of meat as a protein source; Dr. Cox stressed that something she has seen as a recurring trend due to this demand increase and the lack of resources is people eating sickened and dying birds leading to transmission and emergence of influenza viruses. In Egypt, from November 2014 to the beginning of 2015, there has been a tremendous surge in the number of human H5N1 cases, with over 116 confirmed cases. This number is concerning to the global community of influenza scientists for it made Egypt #1 in H5N1 case load world-wide. After the revolution and uprising there was a dramatic increase in illegal poultry farming because the revolution disrupted market chains so the prices for poultry doubled, and due to the significant number of jobs that were lost across the County, the raising of poultry became a quick and easy way to make money. Since the farms were illegal, there was no regulation or biosecurity efforts in place; therefore, the animals were not being vaccinated nor were sick animals being removed from the flock. In Egypt, up to 80% of the population has poultry contact, most of which occurs while caring for backyard flocks in the homes or in live bird markets. As a result, millions of people are being exposed to H5N1, and this is very important because in Egypt, over 30% of all H5N1 cases have occurred since 1997. A potential reason as to why there are so many cases of human H5N1 infection in Egypt is because the particular H5 viruses that are circulating in the country are different than elsewhere and this allows the virus to bind more readily to the upper respiratory tracts in humans. Dr. Cox stressed in her closing statements that because Influenza is one of the poster children for the One Health concept, where humans can very easily be infected by both swine and avian viruses, it is in our best interest as part of the global community, to invest in both the developing world’s infrastructure and biosecurity. During the question and answer session, Dr. Cox was queried about the low efficacy rate of this year’s influenza vaccine, in which she acknowledged that it was a prime example of “predicting the unpredictable” and “expecting the unexpected” in regards to the virus. She then explained that thousands of viruses in the GISRS network were analyzed to create the vaccine but the main problem was that the data on the true viral trend was not available until July, long after the strains had been selected and the vaccines were manufactured. KE: How can public health scientists help the public understand both the efficacy and safety of the influenza vaccine and its importance? Cox: I think the best way for a public health influenza scientist to talk about influenza vaccines and to try and give people confidence in it is to talk about the history of flu vaccine. So we have had the influenza vaccine for 60 years and initially the vaccines were really given to people with high risk conditions like the elderly or people with underlying heart conditions or respiratory conditions, but we have expanded the definitions to include everyone because the vaccine had such a strong safety profile. So what we can say with a lot of confidence because a lot of surveillance has gone on to look at potential side effects of the influenza vaccines over many years, our surveillance is better now than it was in the past, but there really has been intensive surveillance to look for side-effects — particularly severe side effects. There has been no link found between the influenza vaccine and autism and as a scientist and as a parent I do understand another parents concern about the health of their child and wanting the child to be safe, but when you look at the children who die of influenza and talk to the parents of those kids, you become really convinced that getting the flu vaccine, a very safe vaccine, would be the best way to go for them because of course we definitely want to keep children from dying from a severe infection like influenza. KE: What can we do to get patients to understand it is actually the seasonal influenza they should be concerned with not the threat of a potential pandemic? Cox: I think that fear is an enormous motivator for people and so if there are words that emote fear then people will act and react in a much more dramatic way. I think when people get accustomed to something like seasonal flu it is “just a flu” and I think we have to start explaining much much better what can actually happen — it’s rare, but what can happen to a child or healthy young adult that comes down with flu and becomes very sick, is hospitalized, or even heaven forbid, might die. I think we haven’t done a good enough job in explaining the risks of influenza — and people just think “Oh it’s just another cold.” Well it isn’t just another cold. So we need to get better at explaining what the risks are and we also need to understand what motivates people, so our communication messages need to honed to make sure that they are well understood by the public, because it is only when the communication messages are really well understood and internalized that people are going to be motivated to act and get vaccinated. 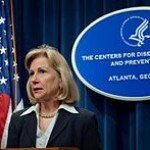 KE: What are the true concerns the public should have about H7N9? Cox: So I think H7N9 is occurring only in China except that a couple of individuals were infected in China and were Canadian citizens that came back to Canada. Basically it is a problem that doesn’t exist in North America. So there is no need to panic, but what people need to understand is that there are these viruses that pose a pandemic threat that are occurring elsewhere in the world, they could be imported and cause problems in the US — there is no doubt about that, and that it is very well worth having work going on for such a pandemic threat, and having an insurance policy such as a vaccine stock-pile for use in the US and that we need to all be vigilant and we need to increase our science IQs and really try to understand what is going on out there in the broad world. The mission of the Center for Infectious Diseases (CID) is to address public health concerns of the citizens of our state by providing infrastructure and administrative support for multidisciplinary and coordinated research, teaching, and community service programs; to foster epidemiological and biomedical research and training in infectious diseases; and to encourage international collaborative research efforts addressing infectious disease problems of mutual concern. The Center for Infectious Disease has an international orientation because of the global reservoir of pathogens and because of the potential for importation in the U.S. and Texas; the existing expertise in the CID in the area of international health; and the direct application of the clinical and research information learned in foreign settings to our dealing with the epidemic at home.